This is a prime vacation destination for beach goers with a boat or those who love to entertain! 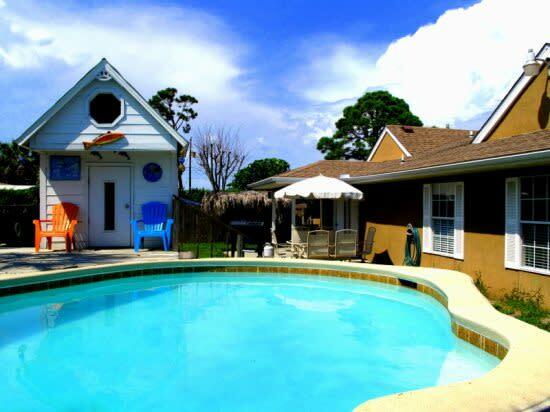 'Captain's Quarters' is located just off Thomas Drive and is only 2 blocks from Treasure Island Marina. 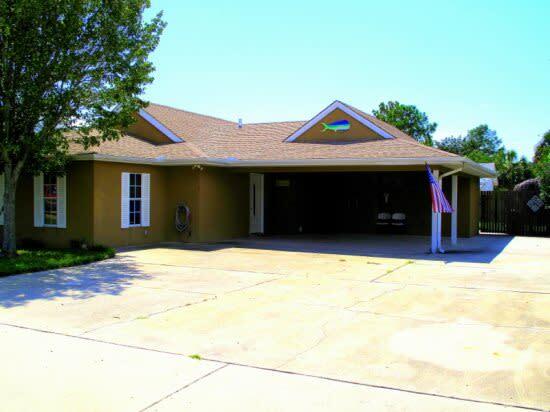 The spacious double carport and extra wide driveway offers plenty of storage for your boat, jet skis, or RV and features water and electric supply to make cleanup a breeze! 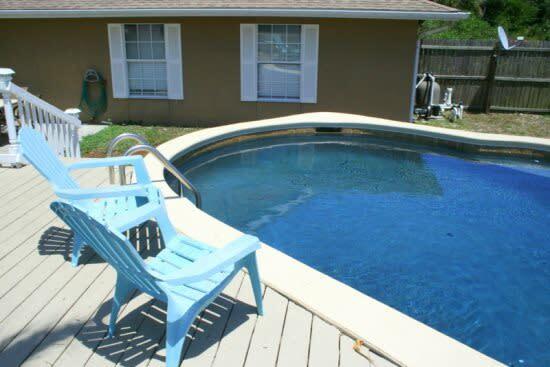 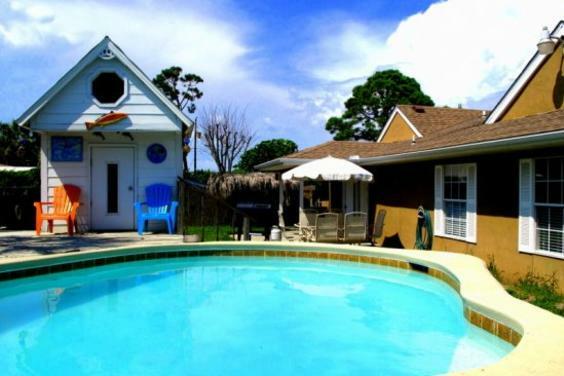 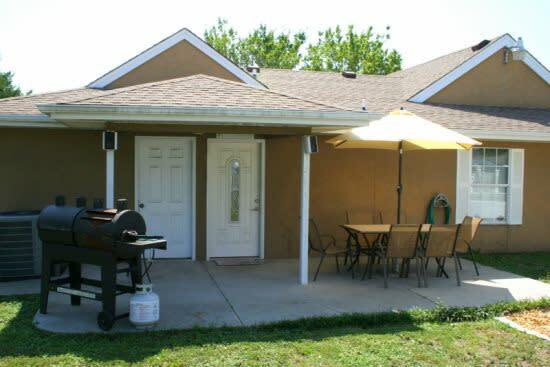 The fenced backyard has an above ground pool, fish cleaning station, outdoor surround sound, combination charcoal/gas grill, and a small pool house that comes fully stocked with floats and pool accessories. 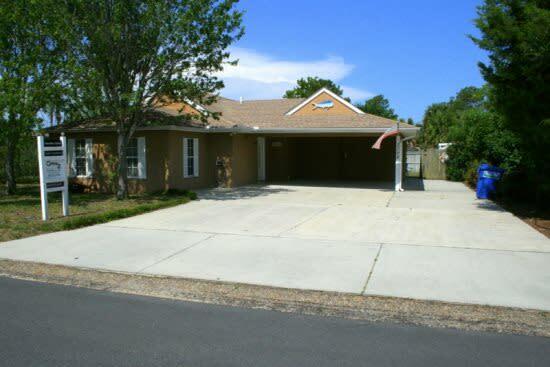 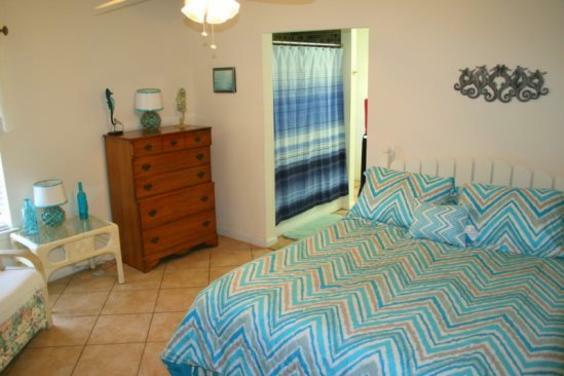 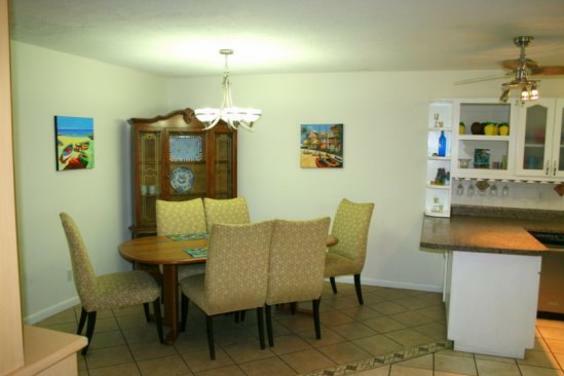 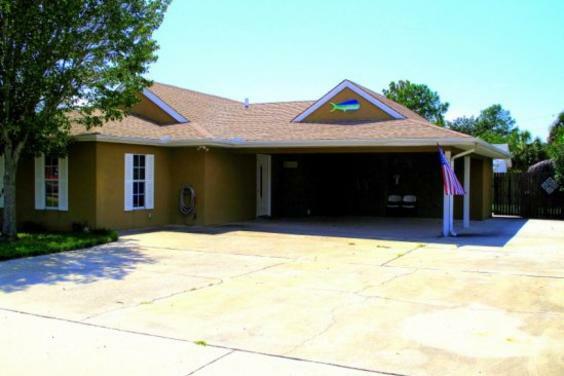 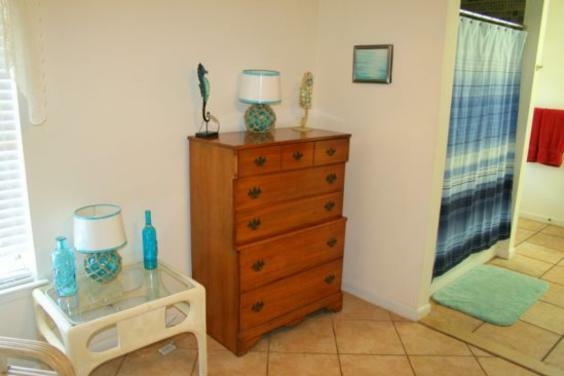 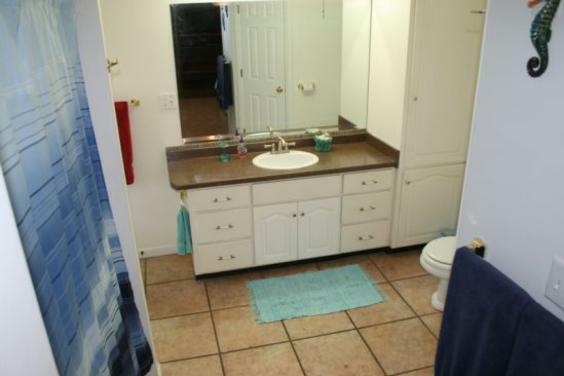 The interior has an open floor plan and tile flooring throughout. 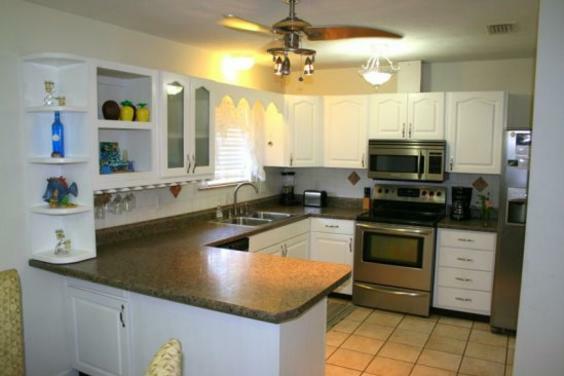 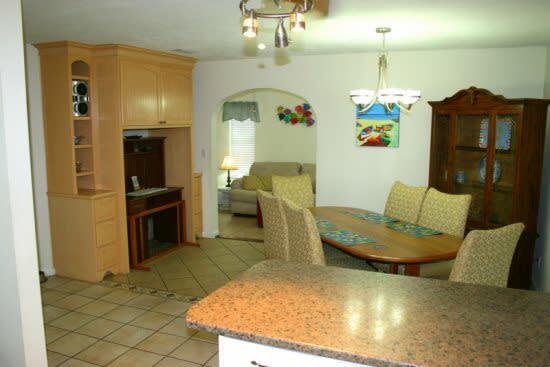 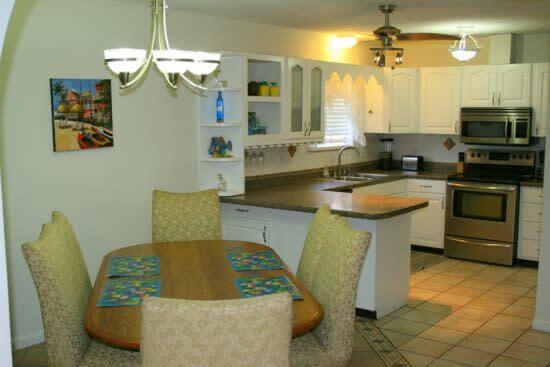 The kitchen features stainless steel appliances and comes fully stocked with cooking utensils and place settings. The master bedroom features a queen size bed, adjoining private bath, and direct access to the patio and backyard. 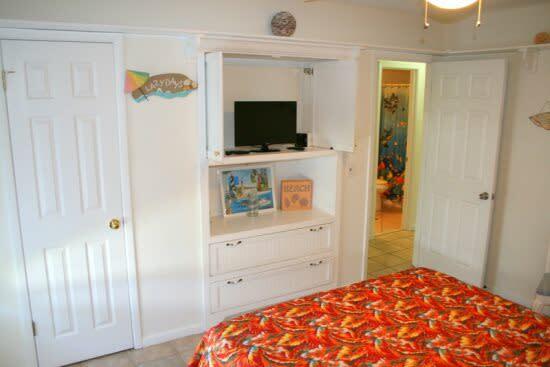 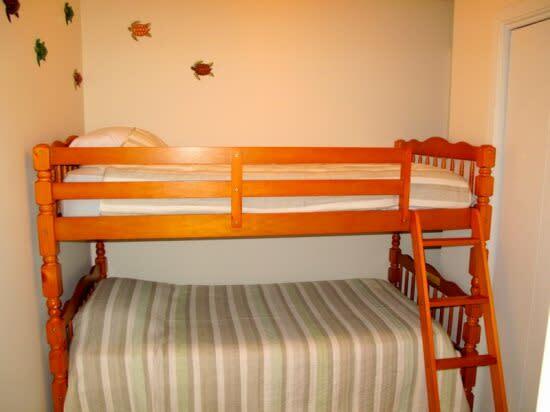 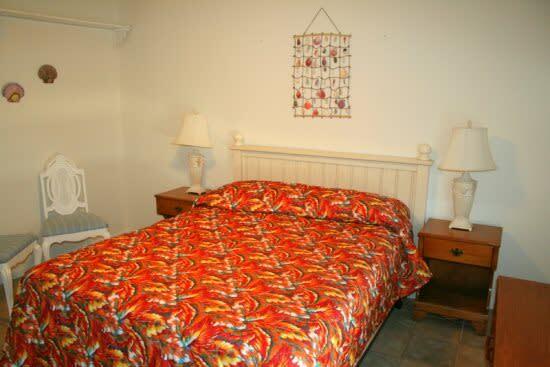 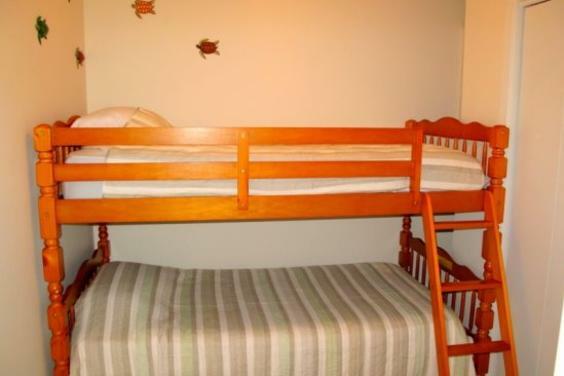 Additional guest bedroom has a queen bed and the other guest bedroom features a bunk bed with 2 twin mattresses. 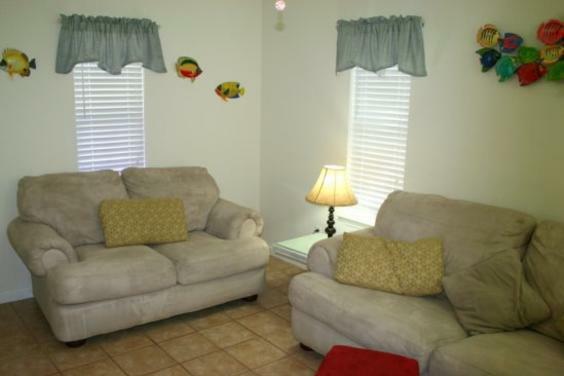 Small pet negotiable with non-refundable pet fee.